Let’s take a look at how you can add and remove classes (for example .my-class) from elements on the page. Open the Element properties panel. There you’ll find the Classes section with the list of all classes that are assigned to the selected element and the Add class button. 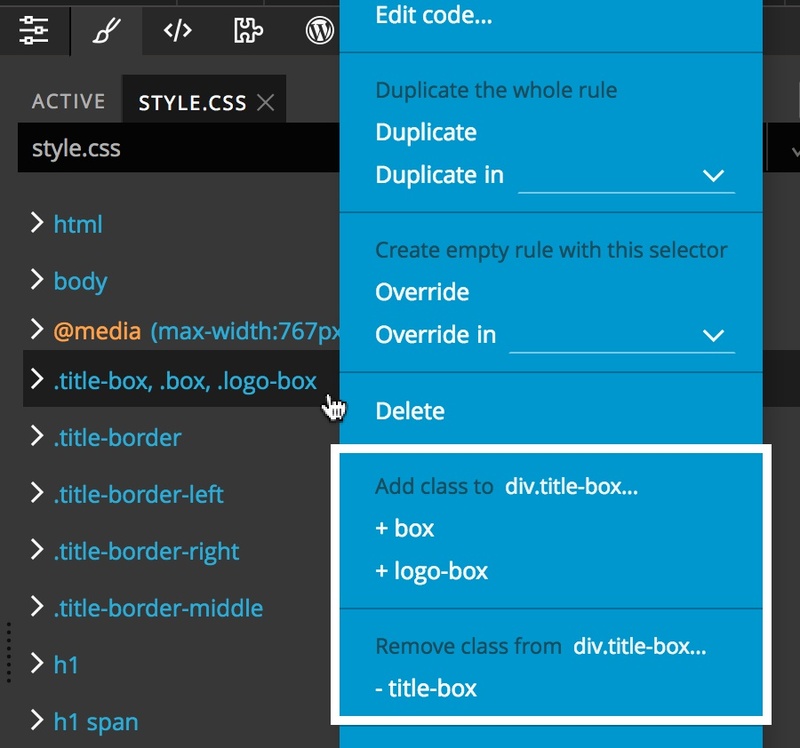 Remove the class by clicking on the x icon 1. 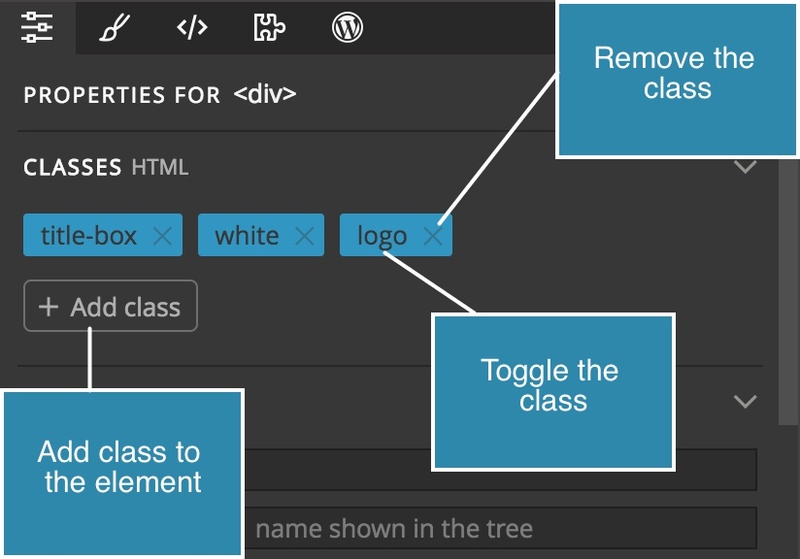 Toggle the class (switch it on and off on the element) by clicking on its name 2. Add a class to the element by clicking on the Add class button 3. Right click on any rule that contains .class selector(s). The context menu contains commands for adding and removing such classes from the selected elements. Context menu of a rule with classes in selector. Open the Style / Active panel. Both “Quick create rule” 1 and “Create with selector maker” 2 tools have the option to add any classes mentioned in the new rule to the selected elements – if those classes are not assigned to the element already. Create new CSS rule tool with option to add classes to elements. NoteThis feature will not only add the class to the element but will also create a corresponding CSS rule for the class. 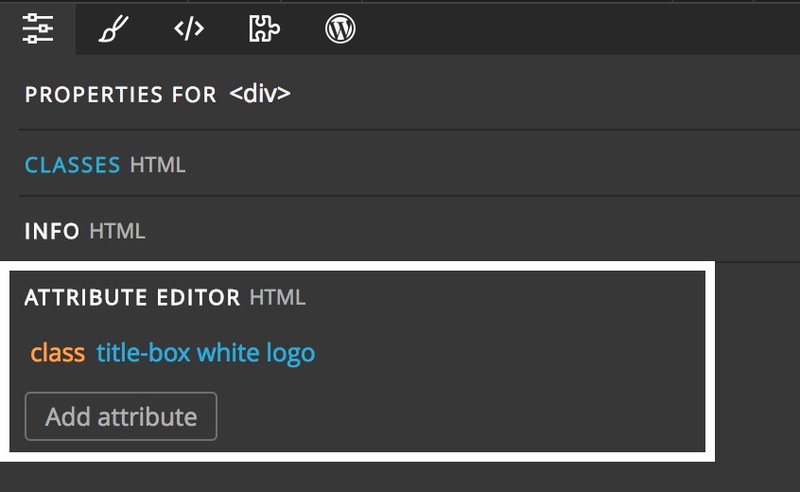 Attribute editor in Element properties panel. Add or edit the class attribute. Note that according to HTML specification multiple class names must be separated by a space character, not by a comma. 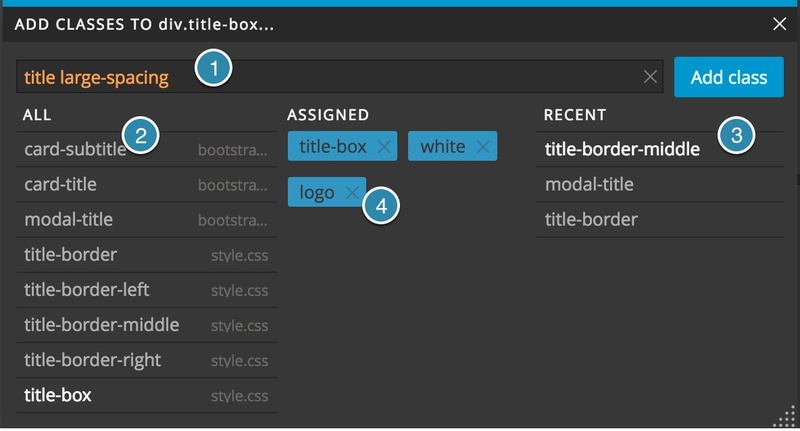 Open the Element code panel. The element code panel shows the code of the selected element. Element code editor with simplified HTML syntax.